Pedro will return home from Chelsea’s pre-season tour after he suffered concussion during Saturday’s friendly victory over Arsenal. The 29-year-old Spain international left the pitch midway through the first half of the 3-0 win over the Gunners at Beijing’s Bird’s Nest Stadium after a heavy collision with goalkeeper David Ospina. 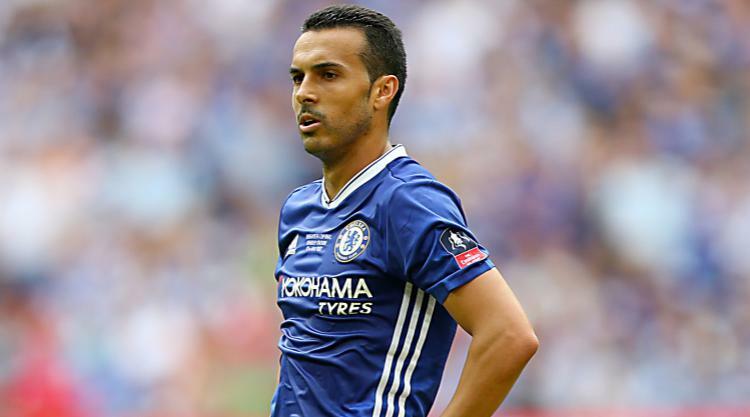 Manager Antonio Conte was hopeful Pedro could join his team-mates on the next leg of their tour – Tuesday’s clash with Bayern Munich at Singapore’s National Stadium – but the Premier League club confirmed on Sunday morning that the winger would return to England for further observation. A statement on chelseafc.com read: “Pedro stayed in hospital overnight in Beijing for observation having sustained a concussion and facial injuries in last night’s game against Arsenal. Michy Batshuayi was on target in each half as Chelsea saw off their Premier League rivals after Willian opened the scoring in China.